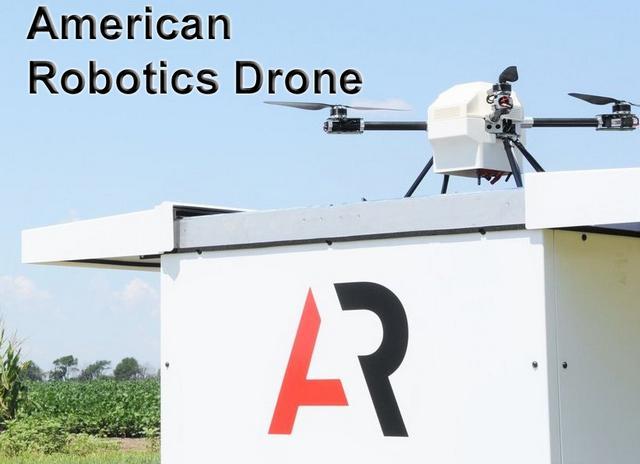 American Robotics (AR) is a Boston-based industrial drone developer specializing in a fully autonomous drone for farmers. It has unveiled its flagship product, the Scout, a self-charging, self-managing drone system capable of autonomously carrying out daily scouting missions. Through innovations in robot autonomy, machine vision, edge computing, and Artificial Intelligence (AI) American Robotics has created the next generation of drone technology: a fully-automated drone capable of continuous, unattended operation. The flagship product, Scout drone, is the first of its kind for precision agriculture. American Robotics has always been to expand the possibilities of precision agriculture. American Robotics Scout is one of industrial drone system who can provide a real full stack of solutions for a very specific application field. More importantly the team understands the agricultural industry rather than just the technology. That’s why they can define the new standard in agriculture. Once the drone station system is installed within a farmer’s field, it requires no manual intervention to fly and manage operations that will help the drones to better plan, which at the end of the day improves your crop yields. The system was already deployed in a range of agricultural locations across the United States. You can explore the types of agricultural drones before you buy. You need to read some reviews about dozens of drone features, you have to consider the right drone. Consider about where you are at now and where you eventually want to end up. Exactly, you'd look for a drone that offers a broad set of features that can help with your whole the management needs of the farming. The technology behind agricultural drones was developed after working with farmers and ag professionals to understand the unique logistical and economic challenges they face. What are the goals of the company who developed the drone? Are they heavily focussed on profits for their investors or are they customer feedback driven and focussed on helping their customers (growers) be more successful? Was the industrial drone developer founded by people who understand farming or operate farms? Limit drones to no more than 55 pounds in weight and speeds no faster than 100 mph. A drone must be flown within the line of sight of a human operator and only in daylight, unless outfitted with anti-collision lights. But, AR is just waiting on the Federal Aviation Administration (FAA) to grant waivers for individual operators and individual technology on an ad hoc basis. That’s safe flight and that’s a technical issue. And team will have a solution soon. The FAA also requires a commercial drone to be operated by someone certified as a remote pilot. 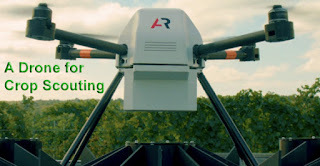 The best agricultural drones should help your farm business be more efficient, productive and inevitably profitable and it should be able to provide you insight into what is working and not working for you. What is American Robotic Drone? American Robotics will offer farmers the capability to analyze data collected from scouting flights. Introducing Scout drone, the world's first practical drone system for farmers. Season-long automated crop scouting. Flights for Scout drone can be planned and scheduled on the desktop. The drone itself, of American Robotic’s own design, is kept in a weatherproof drone station in the field that resembles a large beehive, where the Scout drone charges when not in use. When it’s time for a mission, the top of the box slides open and the drone takes off to photograph pre-programmed fields. The drone then lands back on the base station, charges, and transfers data to a cloud-based system without human interference. And finally, health reports of the plant stress detection are received by farmers. 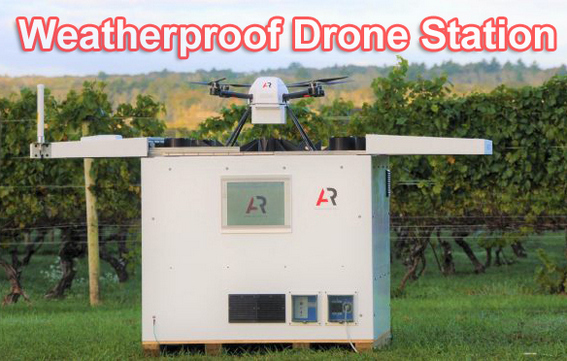 Scout drone delivers this automation in a turn-key package including an autonomous drone with visual and multispectral cameras and a weatherproof drone station which handles housing, charging, data processing and data transfer. By 2050, the growth population is expected to keep growing, and estimates have put the total population at 10 billion, and 11.2 billion by 2100. As a result farmers will need to increase food production by 70%, the head of the United Nations Food and Agriculture Organization (FAO) said. The problems of overpopulation, coupled with a limited availability of arable lands, increasing water shortages, and the shrinking number of farmers across the globe, will require new tools to increase automation and efficiency that changed how food is produced. Farmers are looking to automation to help tackle the issue of producing more food to find a way to feed its growing population with a sustainable. To do that, they need a reliable tool. American Robotics has been employing cutting-edge automation, intelligence, and an IoT mindset to develop a practical solution. While drone technology cannot address the issues of water and climate control, it can provide in depth crop analysis and help farmers around the world monitor their crops for improving agricultural productivity. As American Robotic notes, traditional scouting techniques, including first-generation and consumer drones, traditional scouting techniques are inadequate to understand the unique logistical and economic challenges farmers face. As a result Farm Tech is looking to automation and big data to improve agricultural decision-making, optimize inputs, and maximize yields. The potential for Scout to advance precision agriculture is immense. Farmers are going to be able to get a drone that can just fly whole farm without operators being there. Because so much time and cost is needed just to fly and operate a drone, farmers are unlikely to utilize it more than once a month, if at all. This prevents them from getting imagery or mapping data at a frequency and resolution necessary for effective and successful crop scouting. There are many benefits to choose American Robotics Drone. Find out what American Robotic Drone is and how it can benefit you including how it can save you money and in many cases outperform commercial drones. Fully autonomous drones are increasingly in demand from farmers who, after experimenting with the drones currently marketed for agriculture, find that the cost of operating drones often outweighs the value of the information they deliver. The system of Scout drone is cheaper than current alternatives when labor is factored in. Scout units, once released, will be able to cover about 1000 acres per day and depending on how frequently a farmer wants every one of his acres covered will determine how many units are required. The drone can fly about ten miles between charges making the effective radius about five miles. There are a number of drone firms with some significant traction in this red ocean market. They include DroneDeploy, senseFly, PrecisionHawk, and Kespry, among others. How American Robotics will stack up against the top agricultural drones in terms of features or price will be interesting to watch. A number of other drone startups are aiming for agricultural applications such as PrecisionHawk that offers both fixed-wing and multi-rotor drones, as well as a software platform that can analyze data captured from farm fields. Though PrecisionHawk drones can be flown by a pilot on the ground, the company also has software that allows operators to program a flight path that the drone can fly autonomously. The technology behind Scout was developed after working with farmers, expert engineers, entrepreneurs, and ag professionals to understand the unique logistical and economic challenges they face. As a result, Scout is the first practical, industrial drone system that truly addresses the needs of this agricultural industry. Full-automation is a key ingredient as agribusiness transformation, in order to increase yields and solve the food issues. 0 Response to "American Robotics Drone (Scout) for Sale"